Apartment is very close to Hermitage, Palace Square, Admiralty and many other historical sights of Saint Petersburg. This charming and cozy 2-bedroom apartment is located in the historical center of the city with numerous monuments of Russian architecture. 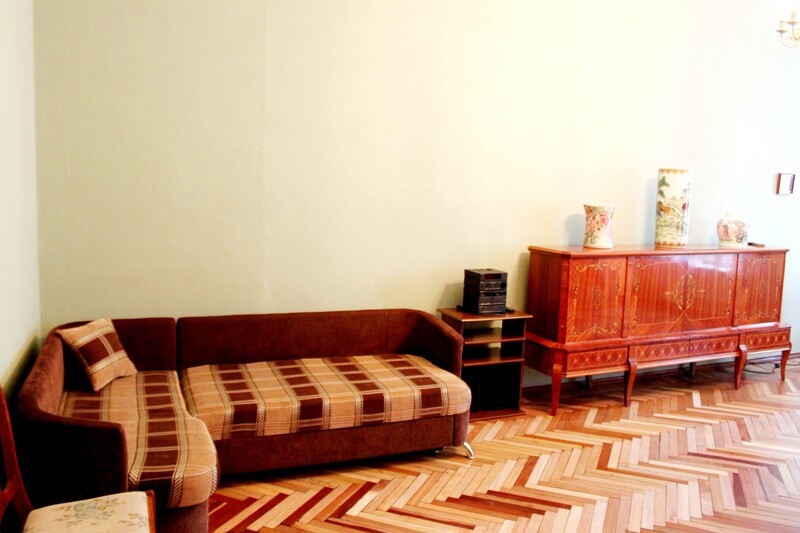 The apartment in is close to Nevsky Prospect with its impressive and splendid buildings. It is totally equipped with everything necessary to make your stay as pleasant as possible. You will really enjoy your stay in this apartment, its tastefully decorated interior, perfect location and high level of comfort. There are 2 separate bedrooms with double bed in each of them. In the livingroom there is folding sofa for 2. Windows in the bedrooms look to the quiet yard. Windows in the livingroom look to the street. Entrance from the street, intercomm system. Located in the historical center of the city with numerous monuments of Russian architecture. The apartment is close to Nevsky Prospect with its impressive and splendid buildings – the Admiralty, St. Isaac’s Cathedral, the Winter Palace (the Hermitage), Kazansky Cathedral and many more. Palace Square - the city’s central historical square and one of the world’s most perfect architectural ensembles that includes the Winter Palace, the General Staff headquarters and the Alexander Column is within 5 minutes of walking.